The number of returns claiming the Earned Income Tax Credit (EITC) has grown in recent years, but that doesn’t mean it that taxpayers understand the complexity of it. The earned income credit is a refundable tax credit designed for lower income working families and individuals. However, there are many requirements that must be met to qualify. The amount of the credit varies depending on your level of income and how many dependents you support. Be at least age 25 but under 65. Not qualify as a dependent of another person. 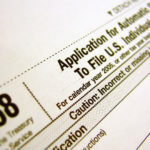 Thus, if another person can claim the taxpayer (or spouse, if filing a joint return) as a dependent but does not, the taxpayer cannot claim the credit. Cannot be the qualifying child of another taxpayer—even if the other taxpayer does not claim the EITC or meet all of the requirements to claim the EITC. Must have lived in the United States (i.e., the 50 states or the District of Columbia) for more than half the year. Note that this excludes Puerto Rico or U.S. possessions (such as Guam). The brother, sister, half-brother, half-sister, stepbrother, stepsister, or a descendant of any of them (e.g., a niece or nephew). A student taking a full-time, on-farm training course given by such a school or a state, county, or local government. A doctor determines the condition has lasted (or can be expected to last) continuously for at least a year or can lead to death. Residency Test. The child must have lived with the taxpayer in the United States (again, the 50 states or the District of Columbia) for more than half the year. Again, Puerto Rico and U.S. possessions are excluded. Birth or Death of Child. A child who was born or died during a year is treated as having lived with the taxpayer for more than half that year, if the child lived in the taxpayer’s home for more than half the time the child was alive during the year. Temporary Absences. Time that a taxpayer or a child is temporarily away from home because of a special circumstance is counted as time lived with the taxpayer. Examples of this include illness, school attendance, business, vacation, military service, and detention in a juvenile facility. Joint Return Test. A qualifying child cannot file a joint return for the tax year (although there are exceptions for children filing joint returns simply to obtain refunds of withheld taxes). Sometimes a child meets the tests to be a qualifying child for more than one person. In this situation, only one person can actually claim the child. If one person is the child’s parent, the child is treated as the parent’s qualifying child. If the parents do not file a joint return but both claim the child, the IRS will treat the child as the qualifying child of the parent with whom the child lived longer during the year. If the child lived with each parent for the same amount of time, the IRS will treat the child as the qualifying child of the parent with the higher adjusted gross income (AGI) for the year. If a parent can claim the child but that parent does not, the child is treated as the qualifying child of the person with the highest AGI for the year, but only if that person’s AGI is higher than the highest AGI of any of the child’s parents who can claim the child. If the child’s parents file a joint return with each other, this rule can be applied by treating the parents’ total AGI as divided evenly between them. If the other person cannot claim the EITC. If the taxpayer and another individual have the same qualifying child, but the other person cannot claim the credit (because the person is not eligible or his or her earned income or AGI is too high), the taxpayer may be able to treat the child as a qualifying child. Note, however, that a taxpayer cannot treat the child as a qualifying child to claim the EITC if the other person uses the child to claim any of the other five tax benefits previously listed. Nontaxable combat pay, if the taxpayer elects to treat it as earned income for EIC purposes. Foreign Earned Income. A taxpayer cannot claim the EITC if he or she has foreign earned income and files either Form 2555, Foreign Earned Income, or Form 2555-EZ, Foreign Earned Income Exclusion. $7,970–$14,340 ($13,310–$19,680 for married filing jointly) for a taxpayer with no qualifying children. $17,530 –$37,870 ($22,870–$43,210 for married filing jointly) for a taxpayer with one qualifying child. $17,530 –$43,038 ($22,870–$48,378 for married filing jointly) for a taxpayer with two qualifying children. $17,530–$46,227 ($22,870–$51,567 for married filing jointly) for a taxpayer with three or more qualifying children. $8,110–$14,590 ($13,540–$20,020 for married filing jointly) for a taxpayer with no qualifying children. $17,830–$38,511 ($23,260–$43,941 for married filing jointly) for a taxpayer with one qualifying child. $17,830–$43,756 ($23,260–$49,186 for married filing jointly) for a taxpayer with two qualifying children. $17,830–$46,997 ($23,260–$52,427 for married filing jointly) for a taxpayer with three or more qualifying children. 7.65% for a taxpayer with no qualifying children. 15.98% for a taxpayer with one qualifying child. 21.06% for a taxpayer with two or more qualifying children. Community Property. If a taxpayer is married but qualifies to file as head of household under the special rules for married taxpayers living apart and lives in a state with community property laws, the taxpayer’s AGI includes that portion of both the taxpayer’s and the spouse’s wages that the taxpayer is required to include in gross income. The EITC is computed by multiplying the taxpayer’s earned income for the year (up to a maximum amount) by an applicable credit percentage based on the number of qualifying children that the taxpayer has. $6,370 for a taxpayer with no qualifying children. $9,560 for a taxpayer with one qualifying child. $13,430 for a taxpayer with two or more qualifying children. $6,480 for a taxpayer with no qualifying children. $9,720 for a taxpayer with one qualifying child. $13,650 for a taxpayer with two or more qualifying children. 34% for a taxpayer with one qualifying child. 40% for a taxpayer with two qualifying children. 45% for a taxpayer with three or more qualifying children. $487 for a taxpayer with no qualifying children. $3,250 for a taxpayer with one qualifying child. $5,372 for a taxpayer with two qualifying children. $6,044 for a taxpayer with three or more qualifying children. $496 for a taxpayer with no qualifying children. $3,305 for a taxpayer with one qualifying child. $5,460 for a taxpayer with two qualifying children. $6,143 for a taxpayer with three or more qualifying children. The IRS estimates that 22% to 26% of all EITC claims submitted contain some type of mistake. While some of those mistakes may be attributable to the complex rules outlined above, the IRS has been stepping up enforcement efforts against practitioners, including sending letters to return preparers who it suspects have filed inaccurate EITC claims. As paid preparers we must meet certain due-diligence requirements when preparing a return that claims the EITC. These include a requirement to complete and file Form 8867, Paid Preparer’s Earned Income Credit Checklist, with the taxpayer’s income tax return on which the credit is claimed. We must also not know or have any reason to know that any information used to determine a taxpayer’s eligibility or compute the credit is incorrect. The consequences to practitioners of filing inaccurate EITC claims are strict and could include barring preparers from tax return preparation, and there are also consequences for taxpayers who file false EITC claims, so we hope this information was helpful. As always we are here for any questions or concerns you may have!